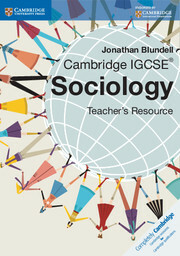 Cambridge IGCSE Sociology Teacher's Resource CD-ROM is written by an experienced author with considerable teaching experience, and provides comprehensive support to teachers. 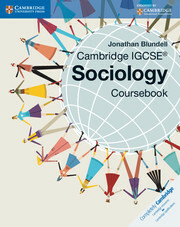 Teaching ideas offer help with lesson planning; worksheets with associated answers save precious time in preparing and setting homework; and further exemplar exam questions for all papers ensure teachers can help students to prepare for examinations.Cambridge IGCSE Sociology Teacher's Resource CD-ROM also offers further guidance on syllabus and assessment and provides answers to all questions, activities and case studies contained in the Coursebook.Mac users please note that CD-ROMS don't autostart when used with Macs they will need to be started manually. If you have any queries please visit our customer support page or contact customer services. Sample Scheme of Work helps in the overall planning of the course. Teaching ideas offer help with lesson planning. Worksheets with associated answers provide help in preparing and setting homework. Answers to all questions in the coursebook saves teachers precious time. Exemplar exam papers offer support to teachers to help their students to do well in examinations. Clear and easy navigation makes the content easy to find.